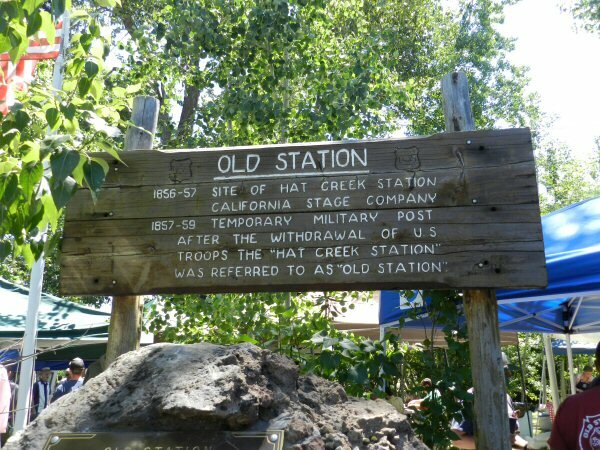 In 1998, the California Assembly passed AB 1953 making Native American Day an official state holiday, observed annually on the fourth Friday in September. 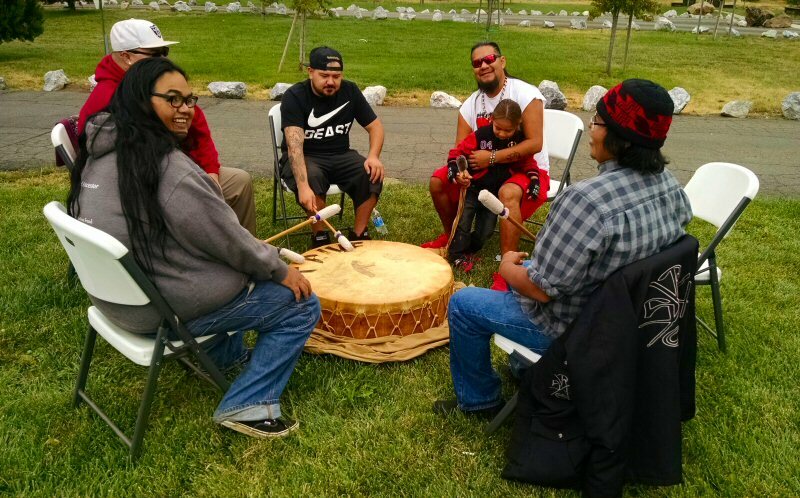 California has more than 100 recognized Native American tribes, representing a diverse cultural heritage extending back over thousands of years. Pit River Country is the home of the Achomawi people. 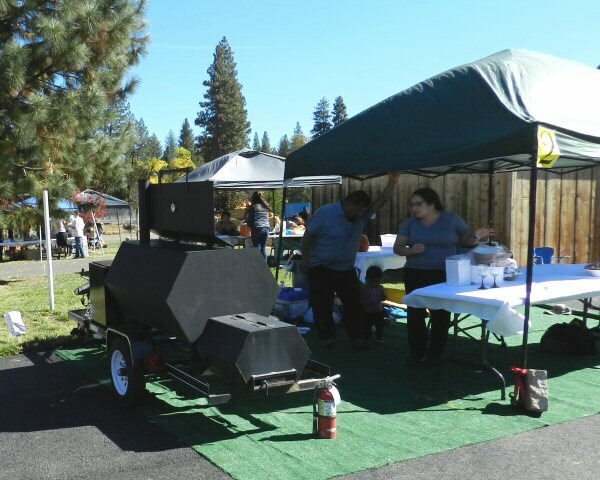 To celebrate this year’s California Native American Day, the Pit River Casino and Kwahn Corporation hosted a special Customer Appreciation Day. 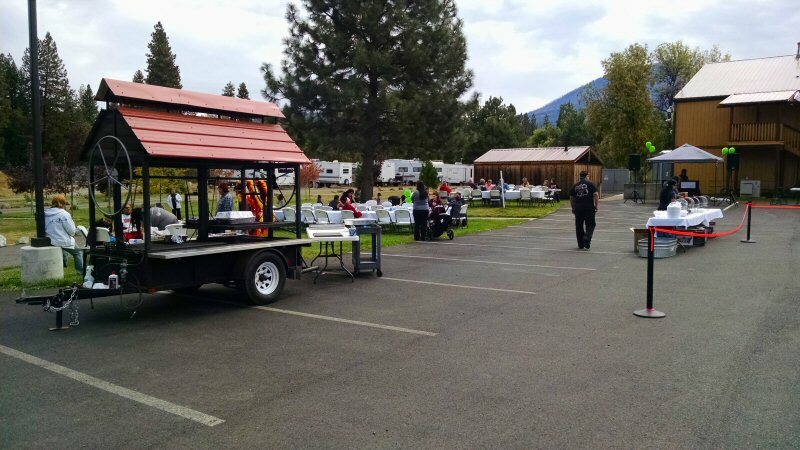 The casino provided a delicious tri-tip barbecue. 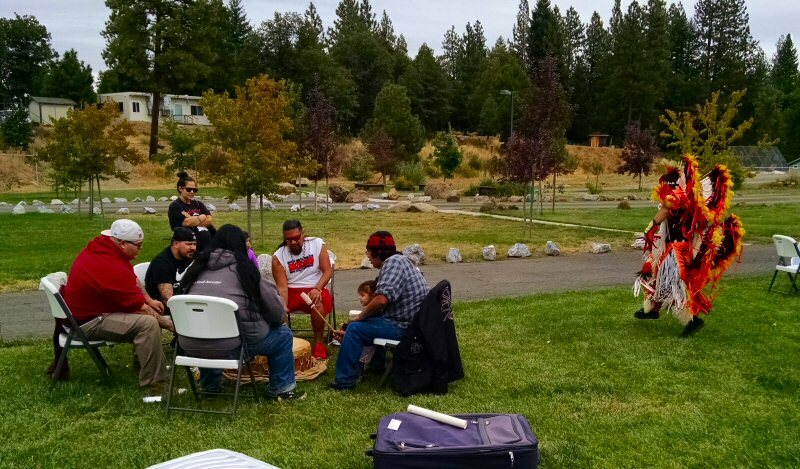 The Pit River Nation Drum group were there singing and drumming sacred songs and music. As the drummers drummed and sang, Lawrence Thomas danced in traditional regalia. People who attended were given a beautiful Native American Day T-shirt. 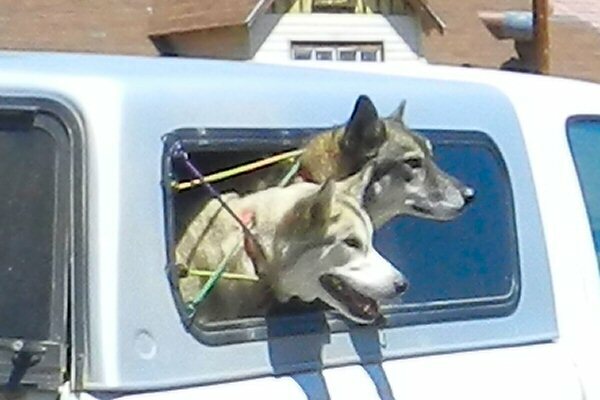 If they made a $5 purchase at the mini-mart they got a ticket for a $500 raffle at 3 p.m. Other prizes were drawn throughout the afternoon. 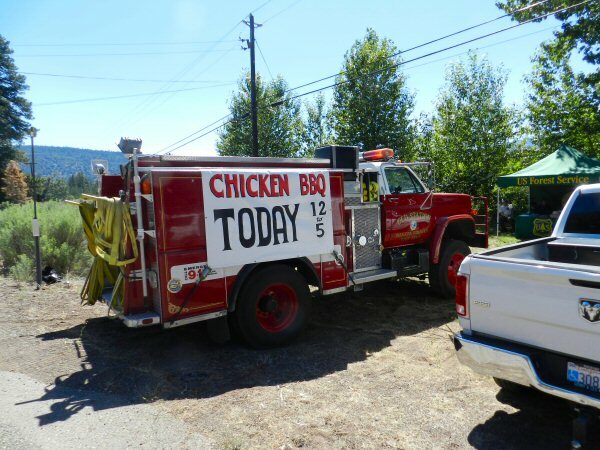 Pepsi, Sysco, Frito Lays, K&K Distributing Co., John and Sandy McCullar, the Mountain Cruisors, Burney Chamber of Commerce, Hovis Hardware, Precision Lube, Valley Hardware, and Mountain Auto Parts sponsored the event. 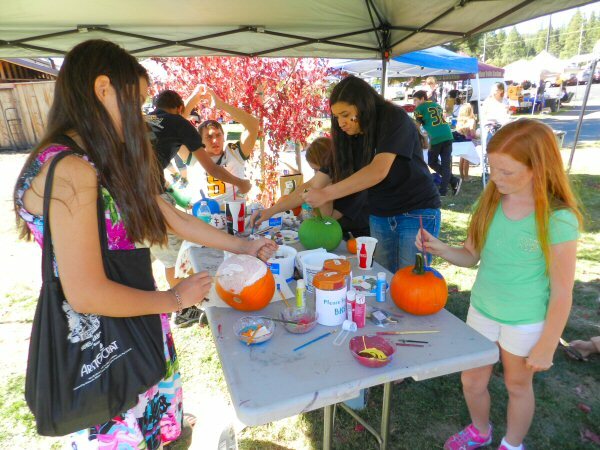 On October 10, hundreds of Burney residents and visitors celebrated the 2015 Fall Festival on the grassy grounds of Pit River Casino below Mt. Burney. 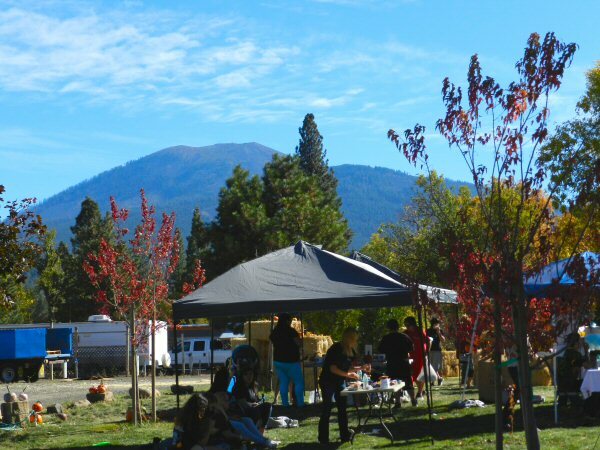 Blue skies and colorful changing leaves provided a wonderful setting in which to enjoy food, fun, crafts, and entertainment. 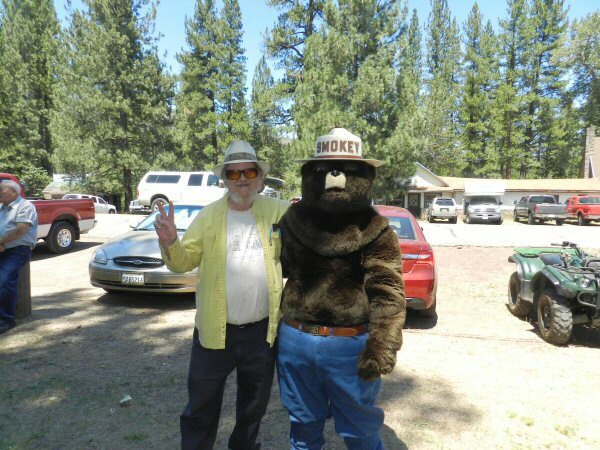 The festival was co-sponsored by the Pit River Casino and the Burney Chamber of Commerce as a fundraiser for Burney High School Sports program. 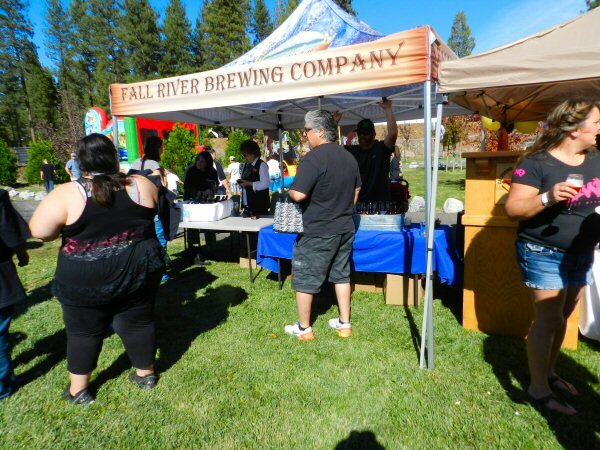 Festivities included a competitive rib-cook off and beer and wine tasting featuring brews from the Fall River Brewery and Feather River Casino. 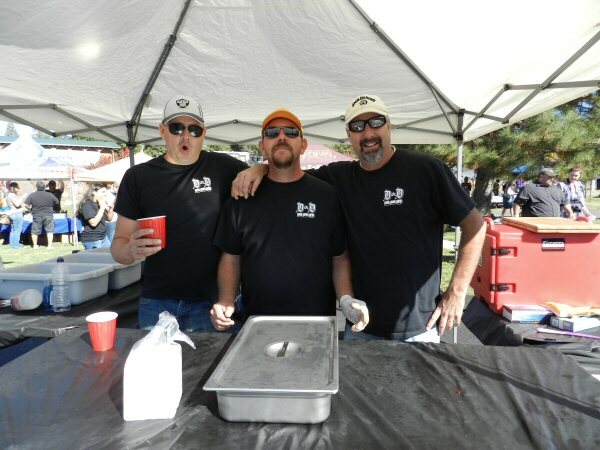 Atsuge Grillers from Hat Creek won first prize for their delicious ribs cooked by Will and Amia George. D&D Barbecue came from Redding to compete in the cook-off and came in second with some mouth-watering ribs. 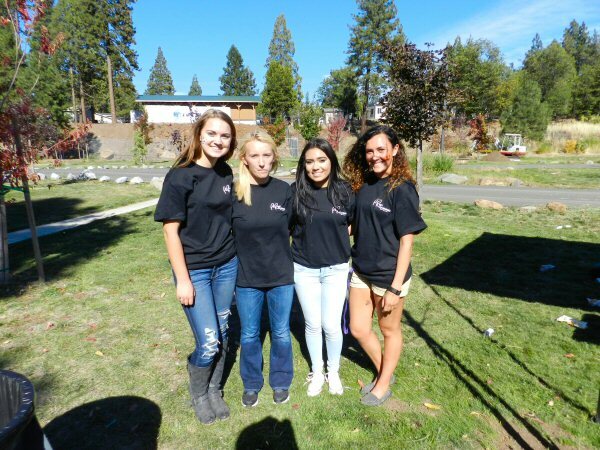 Students from Burney High School contributed their time and talents. This was also Homecoming weekend for the high school. 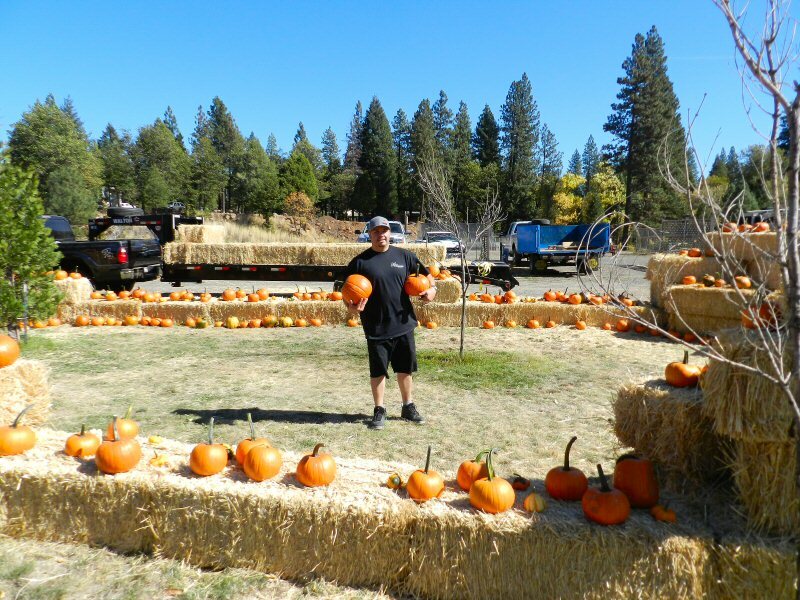 After a hard-fought football game the night before, members of the Burney High School football team helped to set up a pumpkin patch for children with hundreds of pumpkins. Team members also assisted vendors in setting up their canopies. 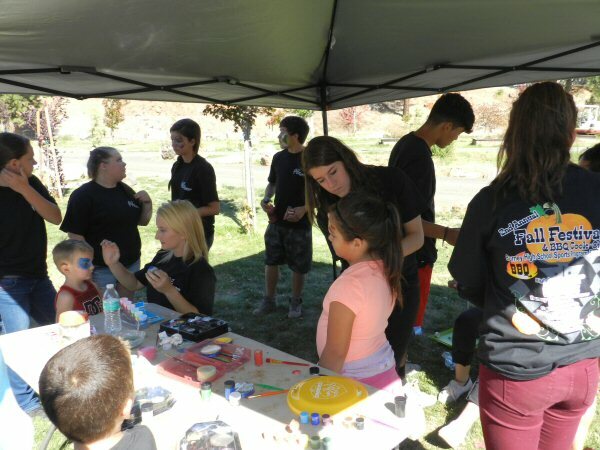 Melissa Madden, who teaches English and leadership and serves as activities director, organized members of student service organizations to do face-painting and pumpkin painting for children. Students also served popcorn and cotton candy for donations to the sports program. Students from the school Leadership Club, Soroptomist Club, Leo’s, California Scholarship Program, Yearbook, Football Program, and cheerleaders all participated. 2015 Homecoming Queen Jessica Thompson and 2015 Burney Basin Days Princess Gabriella Chacon were busy helping with activities. 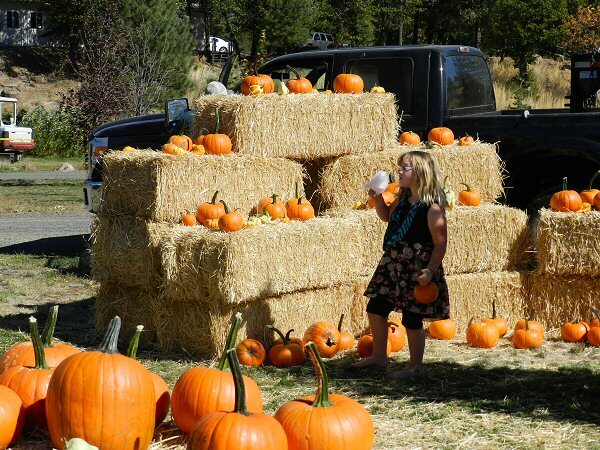 In addition to the pumpkin patch, face-painting and pumpkin painting, children and adults also enjoyed a hay ride and fun play areas provided by the casino. 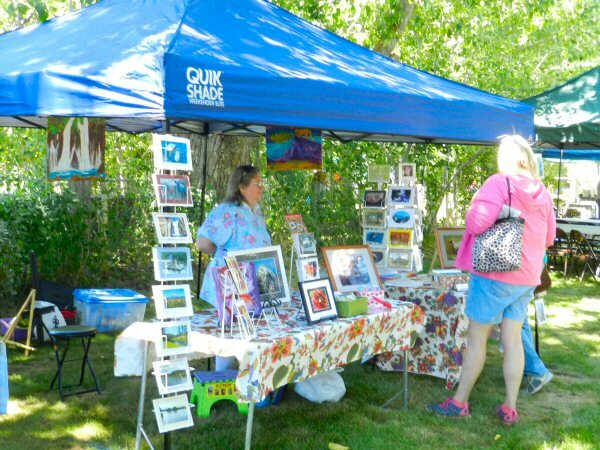 Local craft vendors also set up to sell jewelry, crafts, artwork and photography. Pit River Tribe also served Pit River Indian tacos. Ramon Alvarez from the Pit River Tribe KWAHN Corporation was the main organizer for the event. As the festival began, he made sure that everything was set up properly. Then, as the day progressed he brought out a grill and barbecued tri-tips, hotdogs, and other goodies to supplement the barbecued ribs. Jill Barnett from High Country Real Estate was another major organizer. Jill is the president of the Chamber of Commerce. 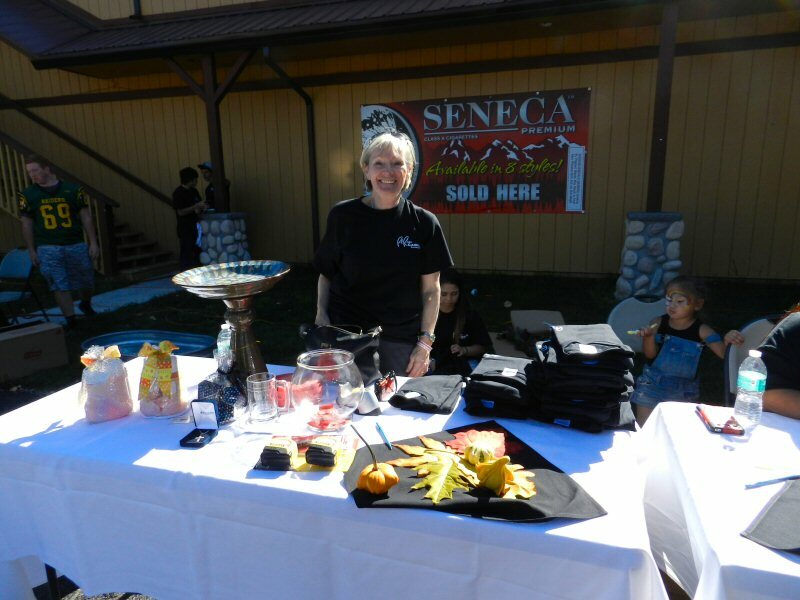 Pat Thompson and Nancy Bobo from the chamber volunteered to serve patrons at the Fall River Brewery booth. Kathy Lehman, past Honorary Mayor of Burney and Chamber volunteer, came to support the event. 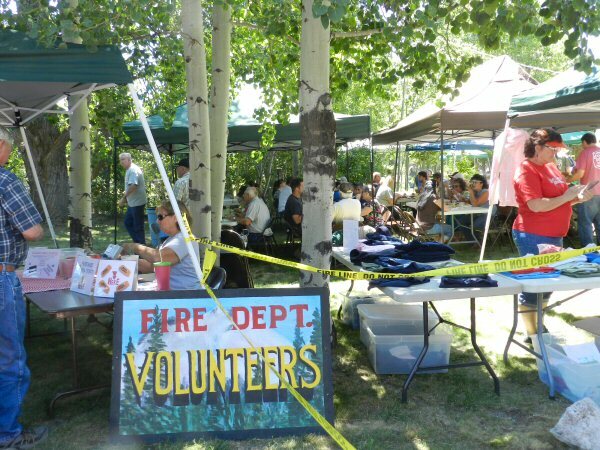 Alvarez said he hopes that the Fall Festival will grow to be a cooperative event in which restaurants, businesses, organizations, local musicians, and creative people from Fall River Valley, Burney, Hat Creek, Montgomery Creek and Round Mountain work together to give people a taste of Intermountain food, music, and culture.